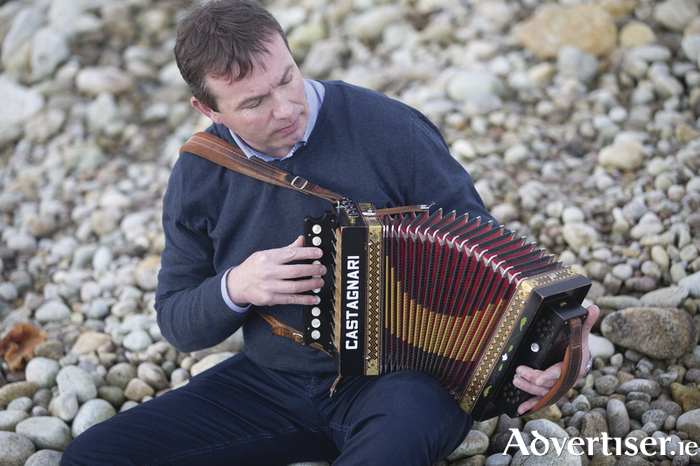 AFTER A 17 year hiatus, Connemara melodeon player, Mícheál Darby Ó Fátharta, returns with a new album, An Rithim Réidh, which he will launch at a show in Indreabhán next week. An Rithim Réidh, roughly translated as ‘the steady rhythm’ is an apt description of Mícheál’s musical style, which is mellow and easy going, but is underscored by a deep respect and understanding of the instrument. The album features reels, jigs, waltzes, barn dances, hornpipes, and a slow air, and has enjoyed airplay on RTÉ Raidió na Gaeltachta. The album cover art is by Dara McGee. Musician Róisín Nic Dhonncha will launch An Rithim Réidh in Tigh Chualáin, Indreabhán, at 8pm on Saturday March 11. Mícheál will perform a selection from the album and be joined by guest musicians, singers, and dancers including Ceoltóirí Óga Chois Fharraige, Mary Shannon, and Mary Staunton.